When you have to make a big business presentation, you know you have to sell something to your audience, whether it’s a service, topic, concept or product, and you’ve probably worked tirelessly to put it all together. You need the right pitch, you need to know everything there is to know about what you’re selling, and you need it to be perfect. With so much on your mind, what sort of equipment you’re going to use to make the presentation or how to set it up, should be the least of your worries. That’s where RentOurProjectors.com comes in. If you’re planning to make your presentation in your own office or on the road, we can deliver any projector to any location in the United States. Without having to worry about picking up equipment or carrying it along with you when you travel, you’ll have extra time to work on the presentation. And because you’ll only need the projector for a short period of time, you’ll save money by renting a projector instead of buying. We have some of the most competitive rates in the business. 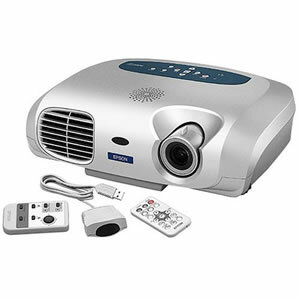 Remember, next time you need a Projector Rental for your Business Presentation one visit to Rentacomputer.com and you can book the highest quality Projector Rental. Together with your informative and engaging slideshow or multimedia presentation, a quality projector rental will help you leave a lasting impression with your employees, clients, customers, bosses, and co-workers.